Dalmatian coast spreads something over 400 kilometers from north point of Pag island all way to Privlaka peninsula on far south of Croatia. 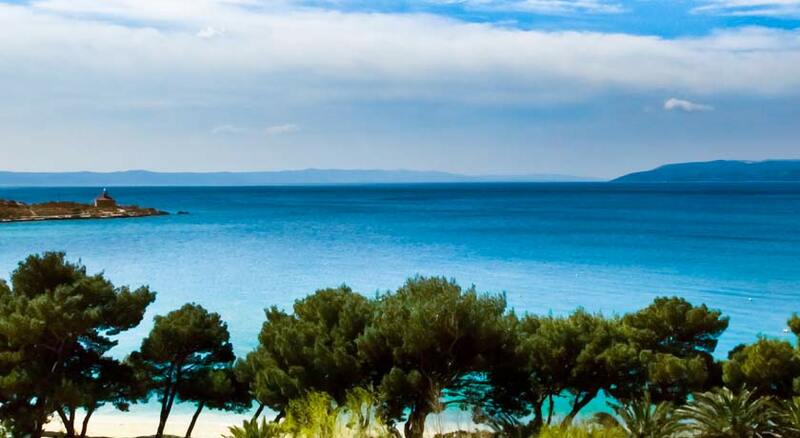 Dalmatia is a region crawled with numerous picturesque towns, solitary bays and islands, lush natural wilderness and rich with historical sites from Roman times. 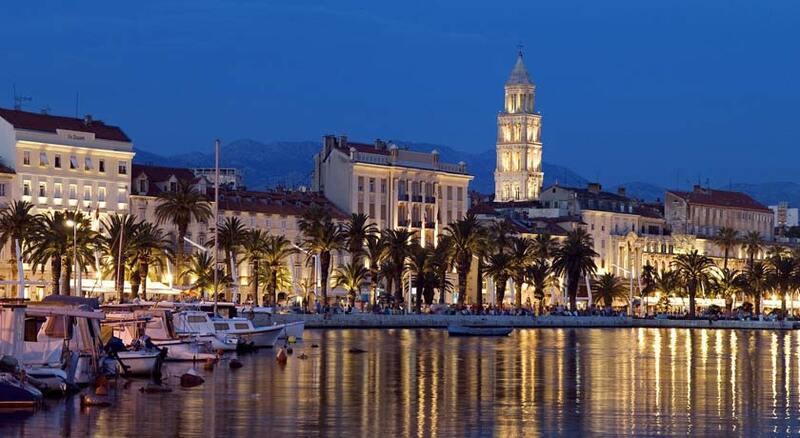 Placed in a heart of Dalmatia region there is vivid and picturesque city of Split. Split beautiful Mediterranean city with numerous archaeological, historical and cultural monuments. City of Split is an ideal point for exploring and discovering all things that Dalmatia has to offer to its visitors. Calming atmosphere of a sleepy old fishing village to the cosmopolitan vibrancy of the city of Split or Dubrovnik, villa rentals on the Dalmatian coastline can be found in such a diversity of locations that you will need to plan a few return holidays to Dalmatia before you could begin to appreciate the sheer abundance of culture, history and natural variety that exists in this coastal part of Croatia. Holiday villas for rent on the Dalmatian coastline are growing in popularity as more and more people discover an area that is every bit as good as some of the more known holiday destinations in the Mediterranean. Villa rentals on the Dalmatian Coast offering you a chance to enjoy the high-quality rental facilities and amenities that has been made in a number of stylish resorts scattered across the region, not to mention the kind of blissful climate, crystal blue Adriatic sea and stunning beaches that will more than satisfy any desire for sun, sea and sand. Croatia holiday rental on the Dalmatian coastline for a culture-loaded city break to a relaxing holiday on one of the islands that cluster along the coast of Dalmatia, holiday rental villas on the Dalmatian Coast can be found in a situation that is perfect for whatever your needs might be. In a case that you’re looking for something other than an apartment or villa on the Dalmatian Coast, cottage rentals might appeal as an ideal solution for those who love authentic rustic charm and for anyone seeking a catering-free option may be tempted by the bed and breakfasts on the Dalmatian Coast. Along the northern Dalmatian Coast stop off in the small historical town of Sibenik visit the Gothic-style Foscolo Palace and St Laurent Church before embarking on an energetic hike up to the old castle. From here you can also head inland to lush landscape of Krka National Park, boasting deep canyon gorges, lakes, and cascading waterfalls. Further north is the Kornati archipelago, made up of some 89 islands and reefs hosting an abundance of marine life, making it an excellent location for snorkelling. Other stops include the ancient Roman city of Zadar, where you can uncover a wealth of monuments, villas and palaces, and Trogir, also known as ‘Small Venice’, due to its many canals and beautiful architecture. Croatia Dalmatian Coast is one of the most spectacular coastlines in the world and still one of the Mediterranean’s most unspoiled holiday destinations. Dubrovnik, in the very south of the country, is justly known as the pearl of the Adriatic and combines centuries of history with stunning architecture and clear, clean waters to enjoy. The island of Brac to the north is extremely popular with visitors and offers stunning beaches, including the famous golden horn of Zlatni Rat beach. Fabulous diving and great hiking is on hand in a laid back island setting. The next door island of Hvar has claims to be the sunniest place in all of Europe and provides visitors with all the beauty of a Mediterranean beach holiday without the over-development. The area is steeped in history too. A must-do is to walk the ancient city walls of Dubrovnik which successfully defended the city from attacks by the Ottoman Empire and Venice for hundreds of years. Diocletian’s palace in Split is a city within an emperor’s palace walls and was built in 295 AD as his retirement home. Hvar’s old town meanwhile is free from cars and offers a wonderful stroll through hundreds of years of history. The Dubrovnik Summer Festival is a 45 day celebration of art and culture in July and August while the International Rijeka Carnival in February is a week of parades, balls and general fun which attracts 100,000 visitors. For outdoor activities from your Croatia Dalmatian Coast holiday rental you can choose from river kayaking, hiking and some of the best sailing in the Mediterranean. Croatia does not yet take tourists for granted and the welcome is warm, open and ideal for families and friends alike. Dalmatia coast is blessed with a typical Mediterranean climate of dry, warm and sunny summers and many visitors rent holiday villas in Croatia Dalmatian Coast during July and August when the resorts are in full swing and school holidays allow families to holiday together. Autumn is a ideal time for foodies to take holiday villas in Croatia Dalmatian Coast as it is the time of the olive and grape harvests and wine making season. In the winter time there can be rainy and temperatures dip to a mild 9 degrees. So, we can consider winter as an ideal season to rent a holiday villa in Croatia Dalmatian Coast for a city break and explore the charms of Dubrovnik or Split. Springtime is perfect for outdoor activities, especially hiking in the hills as the spring flowers are particularly beautiful. If you rent a stone house in Croatia Dalmatian Coast, you will find cherries, strawberries and wild asparagus on the markets and the quieter start of the tourist season can indicate more personal attention and service during your holiday. In spring you can also visit many important events such as the Libertas Film Festival in Dubrovnik during April and the Croatia boat show in Split during the same month. Accommodation in Croatia Dalmatian Coast will be busy during these times so make sure you book early to secure the holiday accommodation you want.